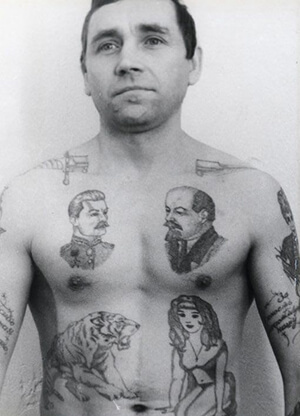 While many convicts come into prison with tattoos, it’s not uncommon for them to get new ones while behind bars. 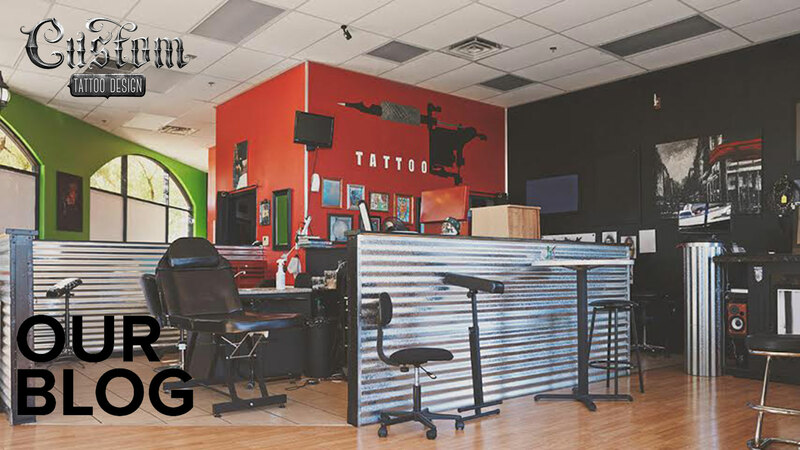 Tattooing is illegal in prisons, but prisoners still make their own tattoo machines using contraband–all they have to do is gather together a motor, a spring from a stapler, and an empty pen barrel. 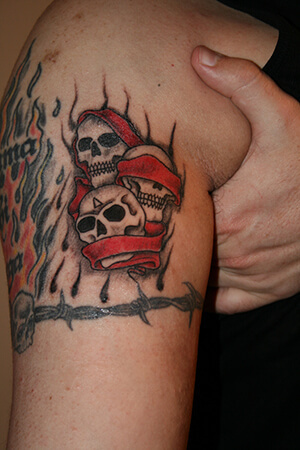 Read on, and learn about the meaning behind some of the most renowned prison tattoos designs! 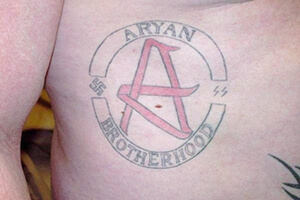 ‘AB’ Logo: ‘AB’ stands for ‘Aryan Brotherhood,’ and this symbol is worn by the White Supremacists in the prison system. ‘ACAB’ Logo: ‘ACAB’ stands for ‘All Cops Are Bastards,’ and this tattoo expresses disdain for law enforcement professionals. Barbed Wire: in Russia, a barbed wire tattoo signifies a life sentence without parole. 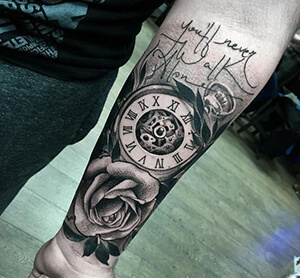 Clock With No Hands: this tattoo design symbolizes time standing still, and it’s inked onto prisoners who are serving life or a long-term sentence. 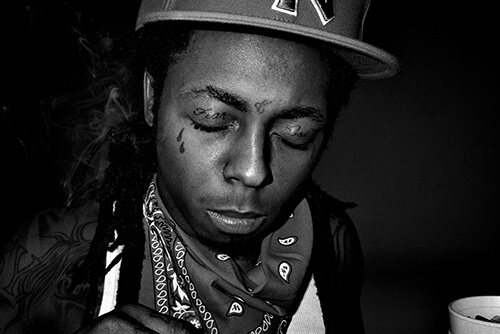 Dagger Through the Neck: this symbol indicates that the wearer has murdered someone while in prison. Eyes on Lower Stomach: this design shows two eyes on the wearer’s pelvis, and it’s meant to indicate that the wearer is a homosexual. 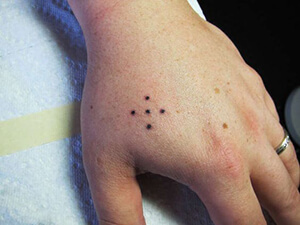 Five Dots: this tattoo symbol indicates that people have spent time in prison, and the four dots that make a square outline represent the four walls, while the dot in the centre represents the prisoner. 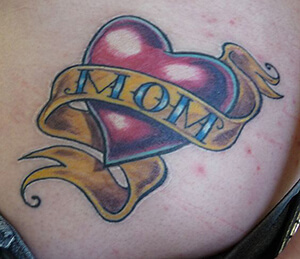 Mother Appreciation: a commonly seen tattoo is one that is a tribute to the inmate’s mother. Whether the prisoner has his mother’s name or a tattoo of her face, many show due appreciation for their mothers–in ink, at least. 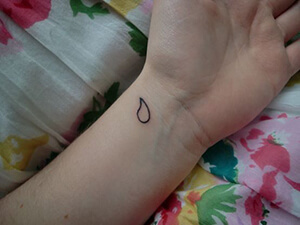 Outlined Teardrop: this tattoo design highlights that the wearer attempted to murder someone, but the job remains incomplete. It can also symbolize the death of a loved one. 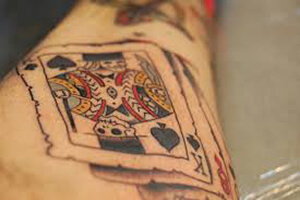 Playing Card: for those who see themselves as gamblers or for those who see life as a gamble, a playing card is a common tattoo choice. A spade represents a ‘thief’, clubs symbolizes a ‘criminal, diamonds stand for ‘stool pigeons and informants,’ and ‘hearts’ indicates that someone is looking for a romantic partner in prison. 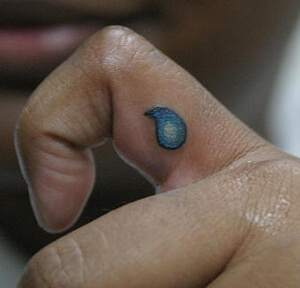 Single Dot: this easily overlooked tattoo indicates that the wearer is a pimp. 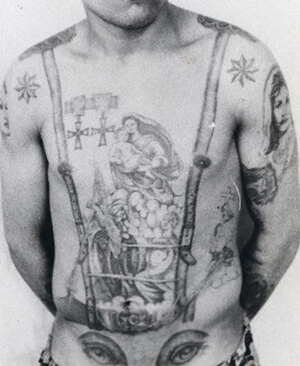 Prison tattoos have a unique history, and the symbols speak to the reality of many convicts. Though these tattoo designs are bolder than most, they represent feelings that even people outside of prison connect to. If you know of other fascinating prison tattoos, let us know about them in the comment section below!